Last month, my two greatest passions collided: mathematics and cycling. On my way back from a short biking trip to the Californian Central Coast (gorgeous in the late spring, when the grass is still green and the wildflowers are in full bloom), I stopped off in Morgan Hill (home of the American Institute of Mathematics) to watch part of Stage 4 of the seven stage, Amgen Tour of California. Wandering around the start area, where the teams warm up on stationary trainers and the big vendors show off their wares, I noticed a couple of guys in one corner, promoting a curious looking bike. Actually, it wasn’t the bike itself that looked unusual, it was the strange, overly large fenders over the two wheels. Had the bike been in a regular bike shop, I would have thought they were splash guards for image-conscious, athletic-leaning commuters to use on rainy days. But the exhibits at a professional cycle racing event are aimed at hard-core cyclists, whose passion revolves around razor-thin saddles, aerodynamic bike design, and low bicycle weight. Whatever those fenders were for, they were not for keeping a rider dry. It had to be about performance. 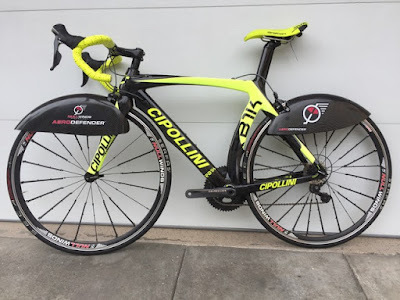 But modern, racing-bikes are designed to be as light and thin as possible – the wheels have tires just a tad over 20mm wide – so those bulky-looking fenders seemed completely out of place. I could not resist asking for an explanation. 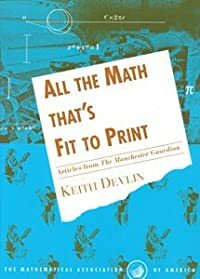 The conversation soon got very mathy, and I quickly sensed an opportunity for a Devlin’s Angle post showing the power of thinking mathematically about everyday activities—be those activities work- or leisure- related. It would be a natural continuation of my recent series of posts (starting in January) on how mathematics education needs to change to prepare people for life in the 21st century. The strange looking fenders were designed by Garth Magee, a former aerospace engineer from Southern California, who like me is a keen cyclist. I had already gotten some clue as to what the fenders were for from the company name on a poster: Null Winds Technology. The fenders must have something to do with reducing drag. (If so, then we need to start calling them “fairings”.) That would also explain Magee’s presence at the Time Trial stage of the Tour of California. Modern professional time-trialing is all about aerodynamic bicycle design, with all the major international bicycle manufacturers spending small fortunes on computer-aided designs and hours of testing in wind tunnels. Magee’s main purpose in Morgan Hill was likely to raise interest from some of the other manufacturers present at the event, I surmised. In addition, professional time-trialing is heavily regulated to ensure competitive cycling’s “purity” and “fairness”, and any kind of wheel fairings are banned in competition, so Magee’s product was surely not aimed at professional racers. He was likely seeking to sell to amateur riders, like myself. From past research into what was known about the mathematics of cycling, I knew it is complicated, uses advanced techniques, and has yet to fully explain the physics of cycling. You can get a sense of just how advanced and complicated it is by perusing the description on Wikipedia. As any experienced cyclist will tell you, at anything beyond very low speeds, the greatest resistance to forward motion is due to the air. That’s why professional cycle racers stay close together in tight packs (“pelotons”) or long lines (“pacelines”), where the few rides at the front sacrifice their chance of winning in order to shield their teammates from the wind. In still air, the headwind is caused entirely by the cyclist’s own forward motion (at speeds up to 30 mph on the flat). If there is a headwind, the resistance is greater. Moreover, it increases with the cube of the rider’s speed relative to the air. That’s why riding a bike into a strong head wind is so hard. The Wikipedia article gives you the key formula, which I reproduce below. Another nice summary of the relevant math you can access online can be found here. What the math tells you is that wind drag is a huge problem that every cyclist encounters when trying to go faster. At a speed of approximately 7 mph, overcoming air resistance takes about half of your effort (with ground friction on the tires and mechanical resistance in the drive train accounting for the other half). As you go faster, that cubic growth starts to flex its muscles, which means you have to increasingly flex your muscles in order to overcome air resistance that demands a larger and larger proportion of your total effort. At around 15 mph, approximately 70% of your effort is being used to overcome air resistance; at 20 mph it takes roughly 85% of your effort. At the top end, a typical average speed for a flat stage in the Tour de France is about 29 mph. At that speed, over 90% of the effort needed to maintain this speed is used to overcome air resistance. Needless to say, the bicycle manufacturing industry has put in a lot of effort over the years to try to minimize the effect of headwind drag. The results of those efforts, explained for cyclists rather than mathematicians, are nicely summarized in two articles that you will find online at: https://tunedintocycling.com/2014/06/28/aerodynamics-part-1-air-resistance/ and https://tunedintocycling.com/2014/07/25/aerodynamics-part-2-small-things-that-reduce-air-resistance-and-drag/. 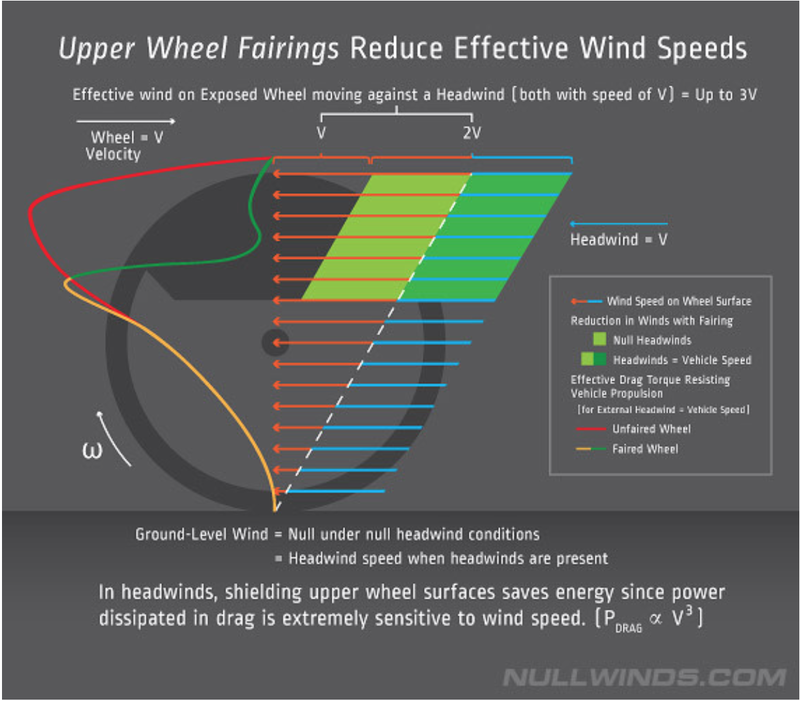 With so much research put into the problem of headwind drag, you would think the industry had done as much as could be done. 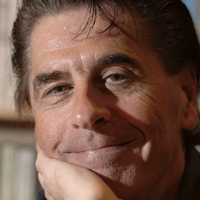 But as Magee showed, there were still more efficiencies to be obtained. His observation is an excellent illustration of the power of mathematical thinking. The mathematics I’ve summarized so far treats the bicycle as a single item, not an assembly of components. (An instance of the mathematician’s standard approach, as encapsulated in the quip “Consider a spherical cow not subject to frictional forces.”) Magee focused on the effect of headwind on the wheels. And now, as that last paragraph should indicate (note the word turbulence), we are deep into aerodynamics. The field Magee worked in for many years. What Magee did, that no one had previously done (at least to the point of taking out a patent on a design), was observe that, with wind resistance increasing with the cube of the speed through the air, the resistance increases rapidly as you go up the wheel from the axle to the top of the wheel (where the top of the tire is moving at twice the speed of the bicycle), and as you go down from the axle to the ground it decreases to 0 relative to the ground. What would happen, Magee asked, if a shield were to keep the wind from hitting the fast-moving top portion of the wheel? Sure, it would add some weight, but with that cubic function to contend with, it seemed likely the drag reduction could be significant. 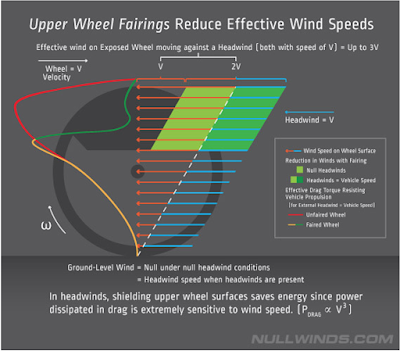 In particular, what portion of the wheel should be protected to optimize any gain due to overall reduced wind resistance on the wheel? This is where a bit of good-old-fashioned math comes into play. The chart below is the key to Magee’s fairing design. According to the math, there would be little or no benefit when riding in still air (or with a tailwind). But in a headwind, the difference should be noticeable to the rider. The stronger the headwind, the greater the benefit. To test his invention out, he turned to his friend Robert Keating, a former bike racer and triathlete who teaches triathlon and works at a local Triathlon shop in Los Angeles. (I met Keating at the Morgan Hill event, where he and Magee were jointly demoing the new device.) A number of road tests showed that the idea worked as the math said it should. You can see a video of one recent test here. This, folks, is the power of mathematics in action. Just as with the UPS routing problem I had the students at Nueva School look at in January (see my previous posts for January 2018 onwards), Magee’s problem was all about optimization. Not unique right answers; rather better performance. Yes, there was a fair amount of sophisticated calculation to be done. But the key was to approach the problem in the right way, so that mathematical power could do its work. As I keep saying, in today’s world, in using mathematical thinking to help solve a problem, you (usually) don’t need to re-invent the wheel. Those days are largely gone. Today, you mostly need to understand mathematics in a fundamental, conceptual way so you can make an existing wheel do the work for you. In Magee’s case, of course, that was true both literally as well as in my original metaphorical sense. All in all, it’s a superb example of 21st century mathematical problem solving. The real lesson is that mathematical thinking can be applied to almost anything, particularly if the question is “Can we make it better (in some way)?” You are not interested in biking? Fine. Think about something that really does interest you. The chances are high—very high—that mathematics could be used to make it better in some way. Once you have decided what to optimize, use the wide range of tools that are now freely available to start to find out how you might do it. 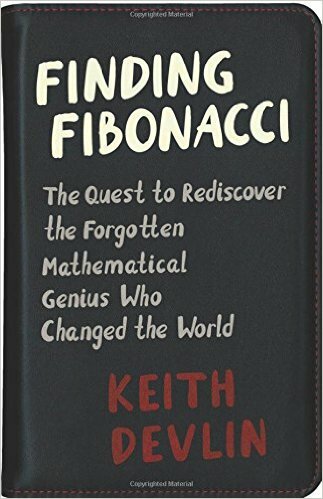 Go as far as you can, then seek help from a mathematician. Your passion, experience, and domain knowledge coupled with the mathematician’s experience at using math to solve problems can make a powerful team. Of course, to proceed this way, as I discussed in my earlier posts this year, you do need to understand what mathematics (really) is and how it can be used. But that is really all you need. Yes, it’s a big “all”. But it’s THE “all”. That’s why it needs to be the focus of mathematics education in the 21st century. LABELS: mathematical thinking, problem solving, aerodynamics, wind resistance, bicycle mathematics.